Montebello is the name of the hill on which the castle stands, 90 meters above Castelgrande. The defensive walls of the old town originate here and join up with those from San Michele hill. There are still parts of both branches of these walls protecting the north and south sides of the fortress. After demolition of a row of houses in Piazza del Sole another section of wall came to light and will be restored as soon as the final layout of the square has been decided. 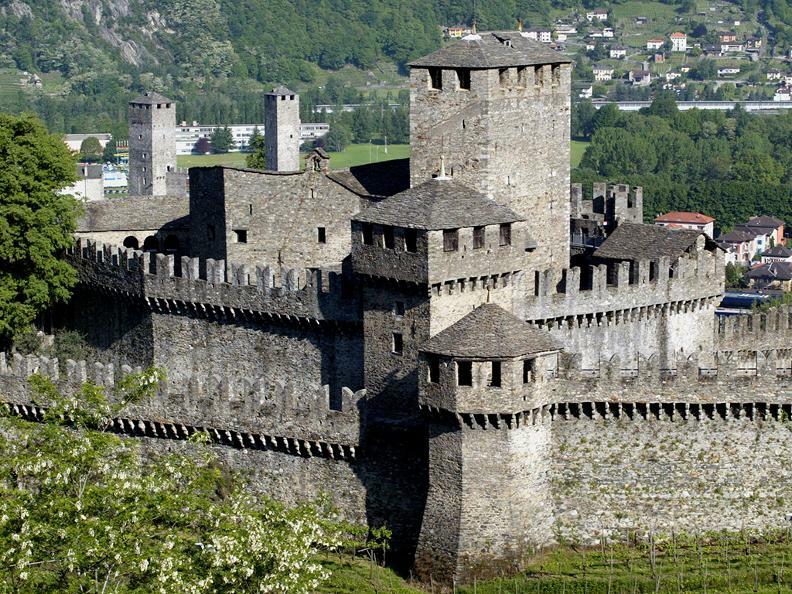 The internal nucleous of the castle dates back to the 13th/14th centuries and has been restored several times. Most probably, it was built by the Rusconi family of Como who kept it for a long period of time, even during the rule of the Viscontis. 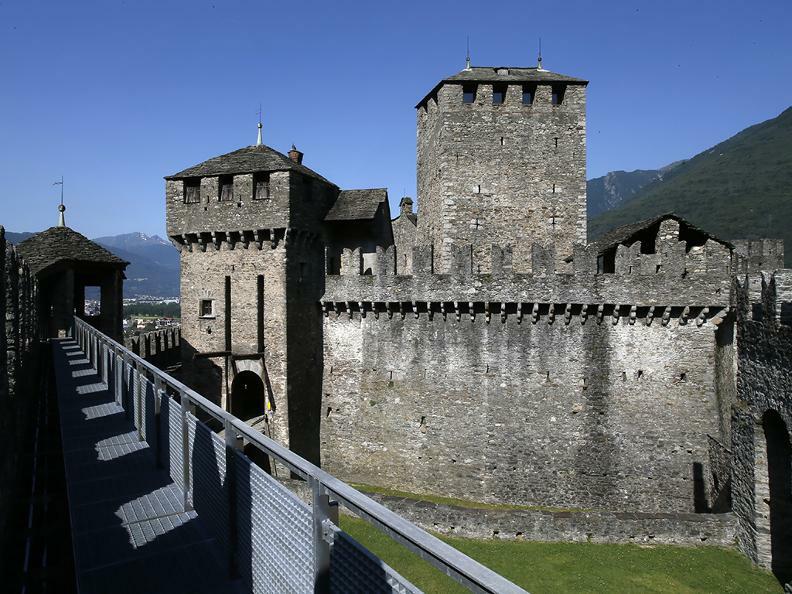 The external courtyards with the towers and the "Rivellino" were built by Sforza engineers in the second half of the 15th c. During Swiss occupation, the castle was called Castello di Svitto but it was renamed Castello di San Martino when Ticino became an independent canton. Towards the end of the 18th c., the castle was acquired by the Ghiringhelli family who ceded it to the Canton in 1903 on the occasion of the first centenary of independence. The view from the castle is spectacular to say the least and, on a clear day it is possible to see Lake Maggiore in the distance. 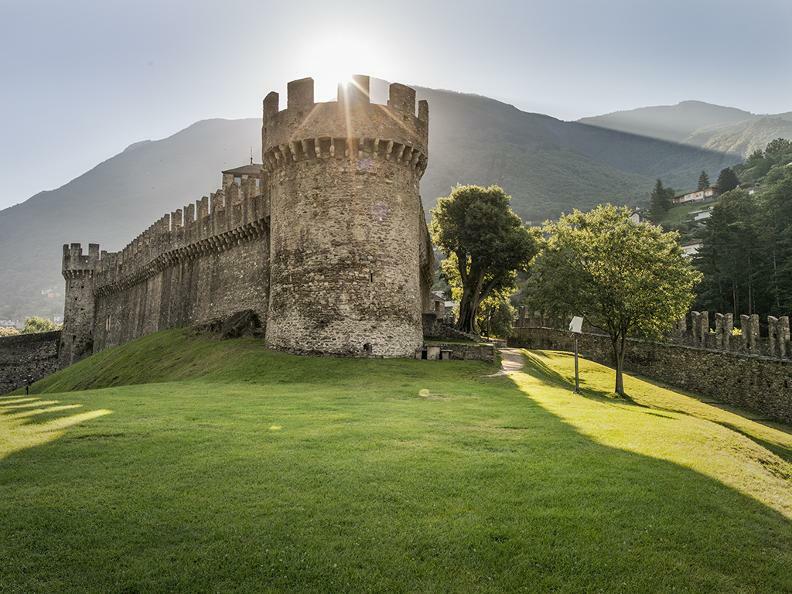 The castle can be reached on foot from Piazza Collegiata or from the residential area called "Nocca" and by bus taking a road up from Viale Stazione. Access to the Castles for persons with reduced mobility is only partial. For more information, please contact the InfoPoint at the Castle. 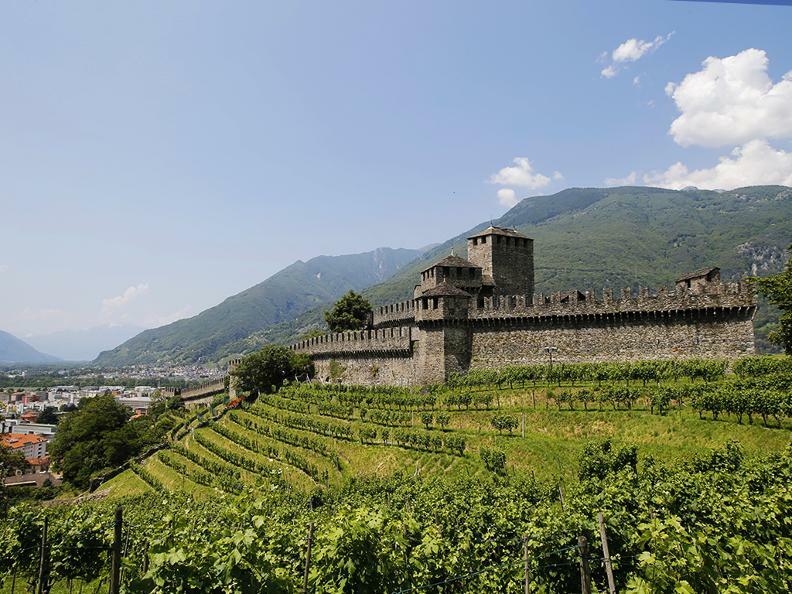 Thanks to Ticino Ticket you can visit this attraction at a discounted price. Ask the ticket at your hotel, campsite or hostel and find out all the offers you can receive.